Next 13th February, we will organize another EiS activity. 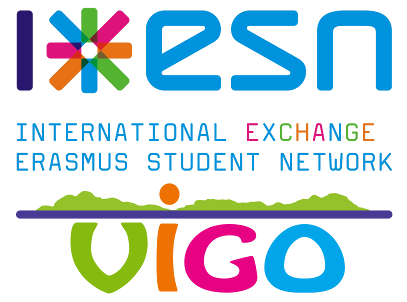 Here you can share your experience as exchange students with primary students who haven’t had this opportunity yet. For this reason, we encourage you to participate as special guests in a class of Spanish kids aged 5-6. We are going to the LAR school, from 15:00 to 17:00. Don’t worry about the transportation, we will take you there. To make unique this experience, we encourage you to share with our kids the stories that told you when you were little: typical stories about your countries, legends, songs ... The only thing that we request is to adapt it to Spanish, so children could understand it better. In addition, we will make a mural of colors with finger paint, so ... come prepared for the spots! Why is it beneficial for the students? They can be inspired by your motivation. Your whole exchange experience has taught you a bunch of new things. You have lived numerous adventures while making friends and getting to know new places… There is no better way for cheering them up to live new things than telling a first hand experience! Why is it beneficial for you? If you are enjoying your stay here, it is a really rewarding activity. You will have the opportunity to meet local people that, if it was not for this kind of situation, you would probably never meet. In addition, you can make a difference in some of them. And maybe in the future they will visit your country, thanks to your little talk. You have to get in touch with Pavla Hill (Facebook). She is the coordinator of the EiS project, she will explain everything to you.